Want to make your own quote picture for social media but just not sure how to go about it? 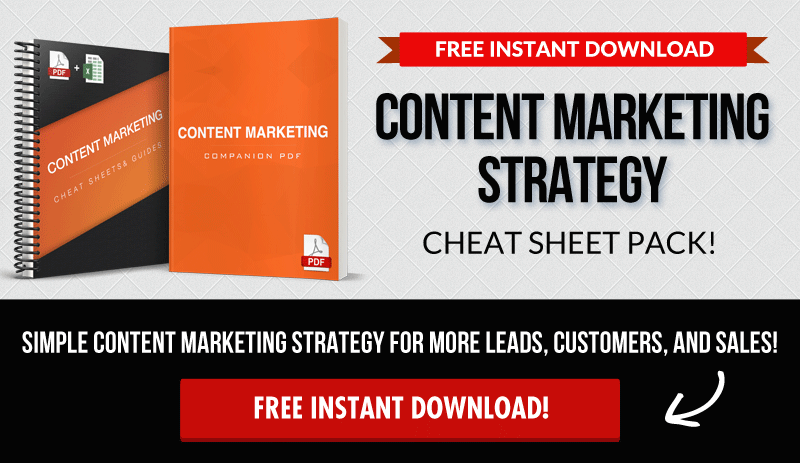 This article will show you exactly how to do it! NOTE: We just updated this post with a bonus application! 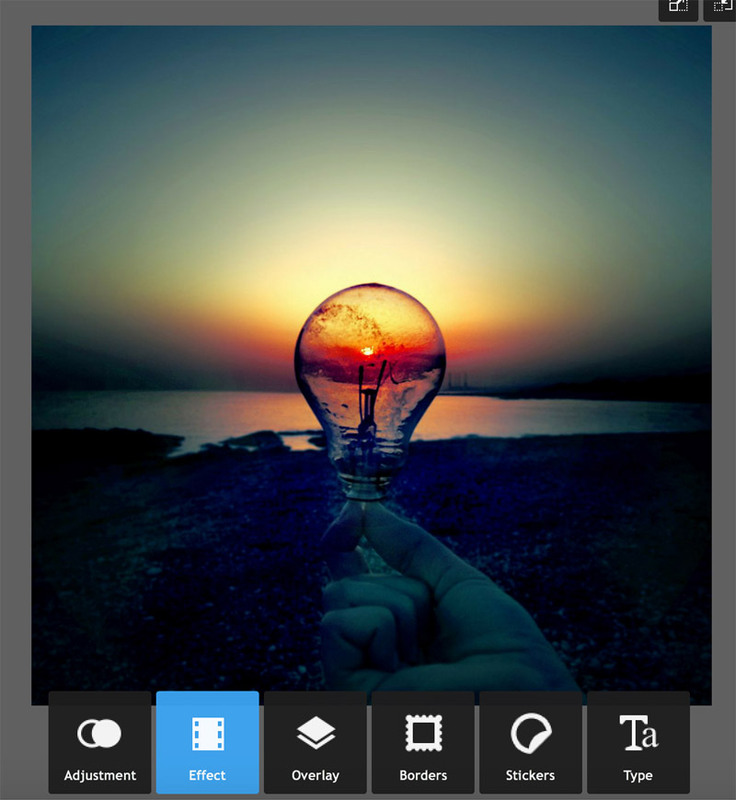 Need to be able to make your own quote pictures on the go? Wordswag is a super easy app for your phone that will allow you to make them in seconds and get them right up to your social media accounts! Keep reading to see the walkthrough video tutorial. Why does everybody love quote images on social media? There's actually a few very good reasons. First of all, quotes are a quick and simple way to start branding YOU on social media. Branding is key to make people want to follow you, buy from you, and join your business. When you use quotes you're able to inspire your audience, change their mindset, motivate them, and or even just heighten their mood and make them feel a ray of hope. That one moment can change lives that you don’t even realize. These are all feel good emotions that people will then associate to YOU, which will make them like you. Quotes are also a great way to spread your brand because they can easily be shared. People love to like and comment on quote image posts, which is engagement that brings attention to your posts… and therefore your brand. BuzzFeed found that posts with images on Facebook got 2.3X more engagement than those without. 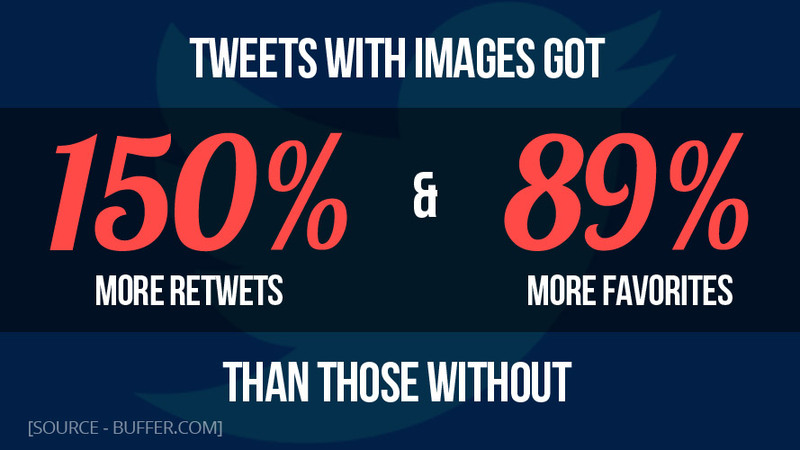 Tweets with images has some ridiculous results as well and can play an integral role in getting more followers on your twitter account. Of course if we're going to make our own quote images, then it's pretty important that we find some quotes right? While there are tons of “quotes” sites online, the fastest and easiest way is to simply use Google. A simple search for terms like “inspirational quotes”, “entrepreneur quotes”, “success quotes” will do the trick. You can find quotes from leaders you like to people follow that you know your audience likes as well. Seach “Tony Robbins quotes”, “Warren Buffet quotes”, “Eric Worre quotes” if you’re in the network marketing niche. You get the picture. People enjoy inspirational quotes from celebrities, athletes, industry leaders, alternative thinkers, etc. Of course it all depends on your niche. If you're in the health and wellness niche, you might want to find people in the industry to quote. BrainyQuote – can search by topic, author, or keyword. Luckily most of the websites and apps we'll be showing you will give you images that you can use for FREE right within the platform. This saves you time especially if you're just starting out. It’s really very simple, so don't put too much thought into it. Now it's time to combine our quotes and our images so that we can get started sharing them online! It's actually not as hard as you might be thinking. If you're a bit afraid of the techie side of things, don't worry, because with the easy-to-use web apps and phone apps available online today, you can whip these images out in just a few minutes. Which means you'll be quickly on your way to getting some immediate online engagement starting TODAY! A relatively new player has joined the game, and to be honest, it doesn't get much easier than the new Pablo app from Buffer. Free images, huge selection of quotes, sizes based on social media platforms. This has it all and you can make your own quote picture in literal seconds. 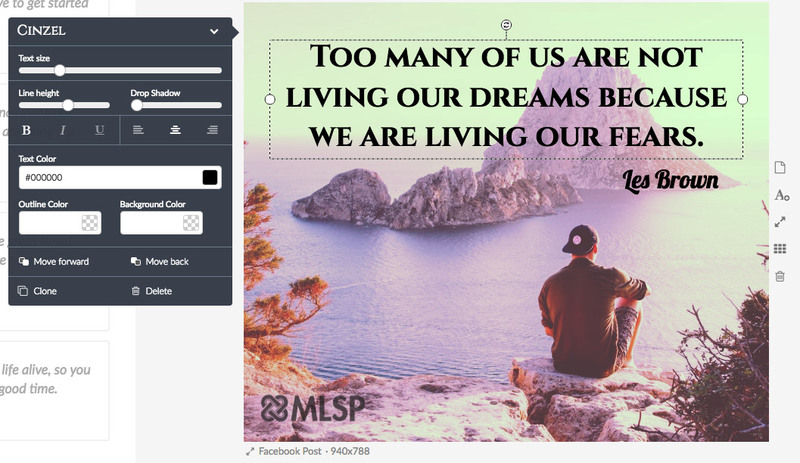 One of the most popular ways to create your own quotes is with Canva. That's because it's a FREE (with an upgrade option) graphic-design tool that's simple to use for any skill level. Even if you've never done any sort of graphics online, you'll be able to use this site to create quote images quickly and easily. First you'll have to sign up at Canva. Once inside you'll see the dashboard which is extremely easy to navigate. The great thing is that Canva has already worked out all the sizes that you'll need to make your own quotes images. Different social networks require different sizes, and with Canva you don't have to even think about it. Once you've chosen the size that you need, it's time to go ahead and start creating your image. The grids can be found under the “elements” tab on the left hand side, and then click “Grids” inside that tab. 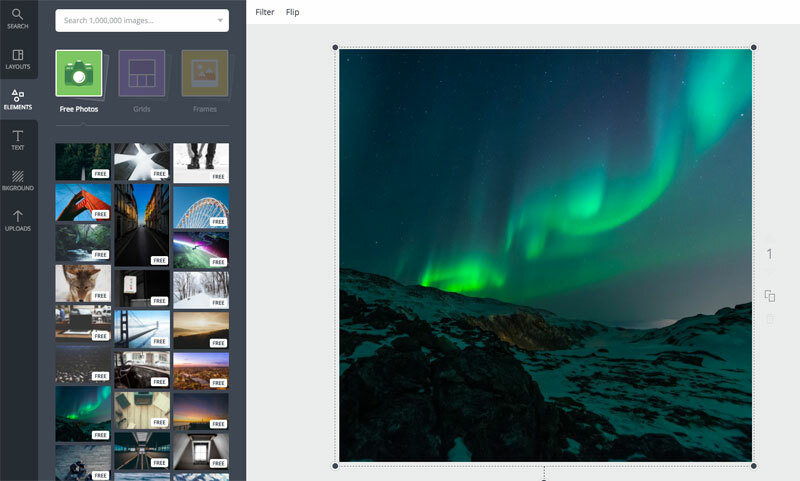 You can either upload your own images to use, or you can choose from one of the FREE Photos that Canva lets you use. This is where you’ll lay your quote over the top of the photo that you’ve chosen. Basically it’s copy and past, which anybody can do. Canva lets you choose different fonts, font sizes, and colors. Once you’ve pasted your quote in, you can maneuver the text wherever you want it to be within the image. 4. Brand the Picture to YOU! One of the main reasons you’re making your own quotes images, is to create a brand in your niche. You can use a watermark with your logo, or even just the URL of your blog or website. The important thing is to remember to brand the picture to YOU somehow… so that when the PHOTO is shared, your BRAND is shared! How do you get your new image out of canva and to the platform you want? 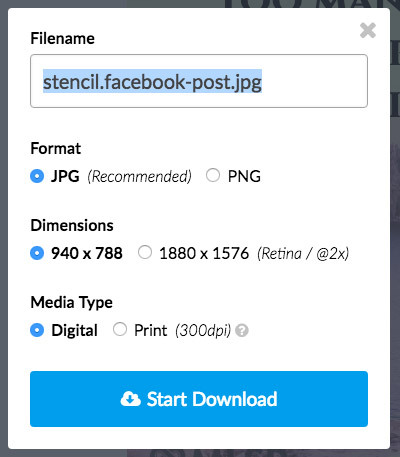 At the top of the Canva dashboard you'll see buttons where you can download the image to your computer and share it to the social networks from there. 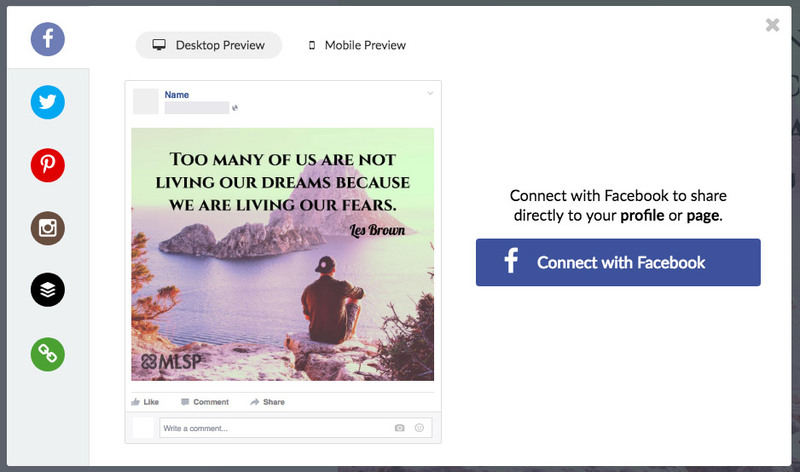 OR…you can simply hit the share button inside Canva, and share it to your social media sites from there! If there's a site that's perfect for people who want an easy way to make really great looking quote images, Stencil seems to be it. 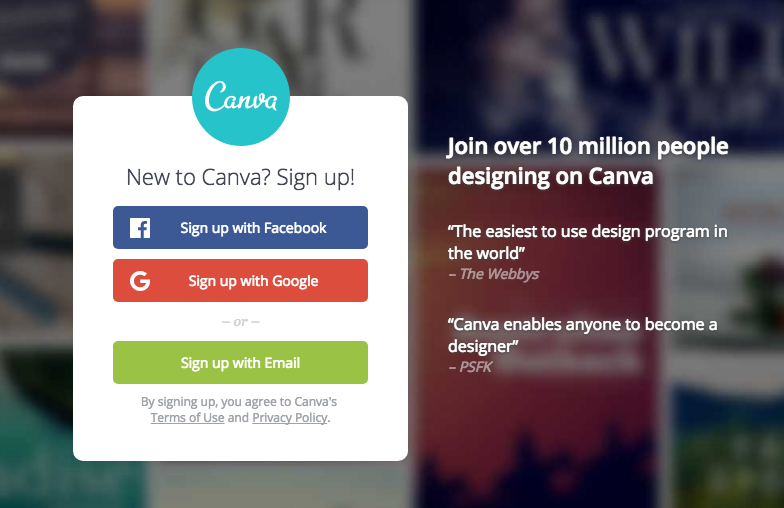 It's very similar to Canva, but there are some key differences. NOTE: While there is a pretty robust FREE version of Stencil. The drawback to the free account is that it does limit the number of images that you can create per month to 10.With the upgrade at $9 per month, you can create up to 50 images per month, and if you add an extra $3 bucks per month, you're unlimited. Both of these upgrades also increase the number of free images, free quotes, and other handy tools. 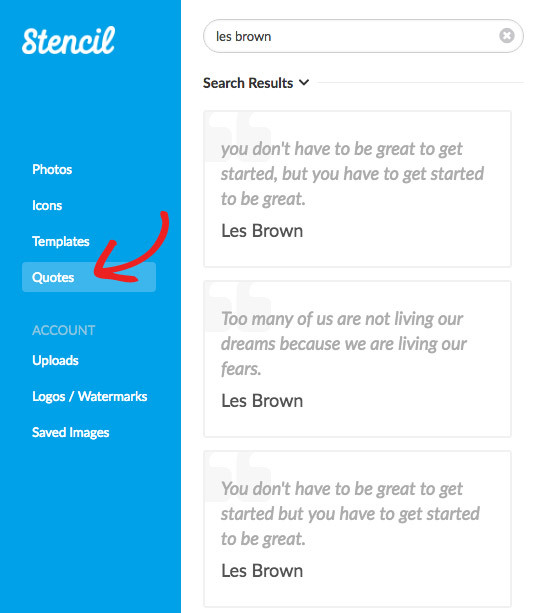 What's really cool about Stencil is that it's a marketing and social media focused platform. 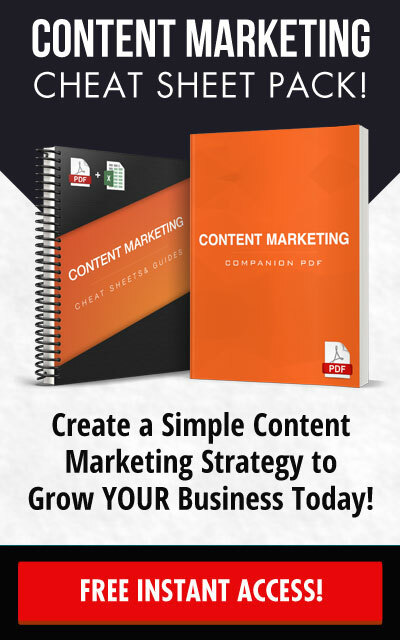 They want you to get in there and quickly create images that you can get out there to increase your engagement on social media. 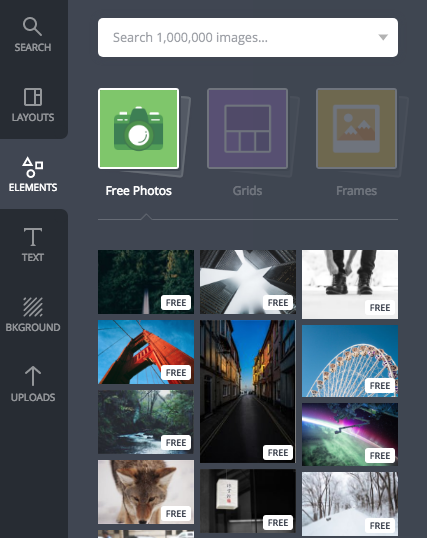 They have way more free photos for you to use than Canva. Not to mention that they have their own stock of quotes that you can tap to make your quote images. Sort of a one-stop-shop for quote images! Creating an account is simple. Just hit the “Start Creating Images” button on the home page, and you'll be able to set up your account with your name, email, and password. Simple and easy. Now here's the fun part. Just wait until you see how simple it is to use! 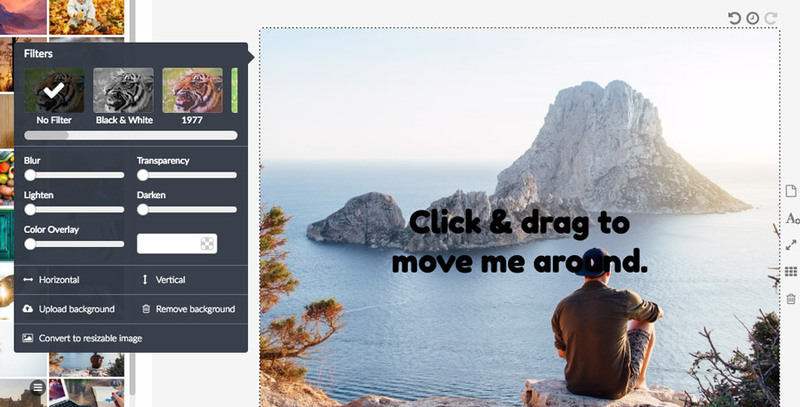 Where you see “Click & drag to move me around” is where you'll create your image, and that text can either be revised or deleted. We'll do a Facebook Post for this example. Now that we have the size, you'll choose an image that you want to use. There's a ton even with the free account, and you can simply scroll down to go through them all. We'll pick a nice scene with a dude looking out into the water, seeming to contemplate life a bit. We've all been there haven't we? Now we want to add a quote to this photo. Again, Stencil makes it extremely easy to do. You have two choices here. If you want choose your own quote and copy and paste just like you did over at Canva… simply click the Text Icon over to the right of the image. You can adjust the text size, color, and font in the pop-up on the left hand side of the image. However, for this example we're simply going to use one of the quotes that Stencil gives you to make a quote image. Just to show you how simple it really is. On the left hand side you'll see a tab that says quotes, and when you click that tab, you get a selection of quotes to choose from. You can scroll down to see more quotes, and pick the one that suits you best for that image. Or even search for your favorite author, influencer, entrepreneur, celebrity, etc. It's a great quote that fits the picture quite nicely. Once you select your quote and click on it, the text will be automatically added to your picture! As you can see, you can adjust the text/fonts/colors over to the left. You can also move it around the image to position it better. Let's see what we can do with this quote image. And if it looks good you can go ahead and download it by clicking on the ‘Download' button. And BOOM! You've just created an image quote with STENCIL! How to Use PowerPoint to Make Quote Images! Sometimes it’s best to just use what you already have at your disposal. The best tool is the tool you'll use. You can do exactly that with Power Point (or Apple's Keynote if you are on a Mac) which you very likely have on your computer, or something like it. 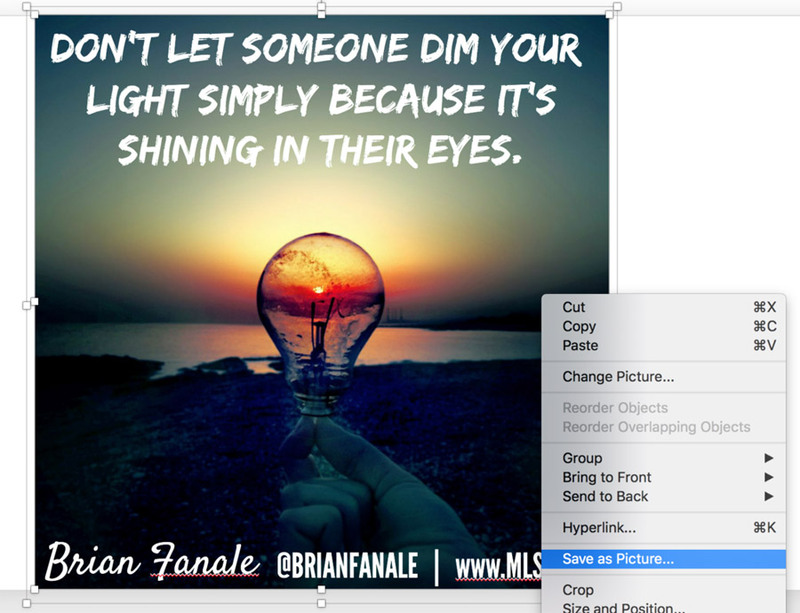 To make really great looking image quotes for your brand, yo may want to add one tool into the mix with this method, that will make your images a bit more eye-catching. That extra tool is Pixlr. This is actually a powerful web app that packs a mean punch, and it’s great if you want to get a little more creative but don’t want to go full-on Photoshop just yet. For now we just want to make some great quote images to start building some know, like, and trust in your industry. So let’s do that starting RIGHT NOW. Steps to Create Images Using Powerpoint and Pixlr! This app is going to be used simply to upload a photo and enhance that photo to make it stand out! Click on “Effect” when you upload your photo, and it's off to the races! Once you hit Effect you’ll see a ton of things that you can do with your photos. You could spend an entire day playing in there and making some amazing photos. The key is to make an image that will grab attention through all the noise on the social media platform that you’ll be using. Now just hit save to download the image back to your computer. 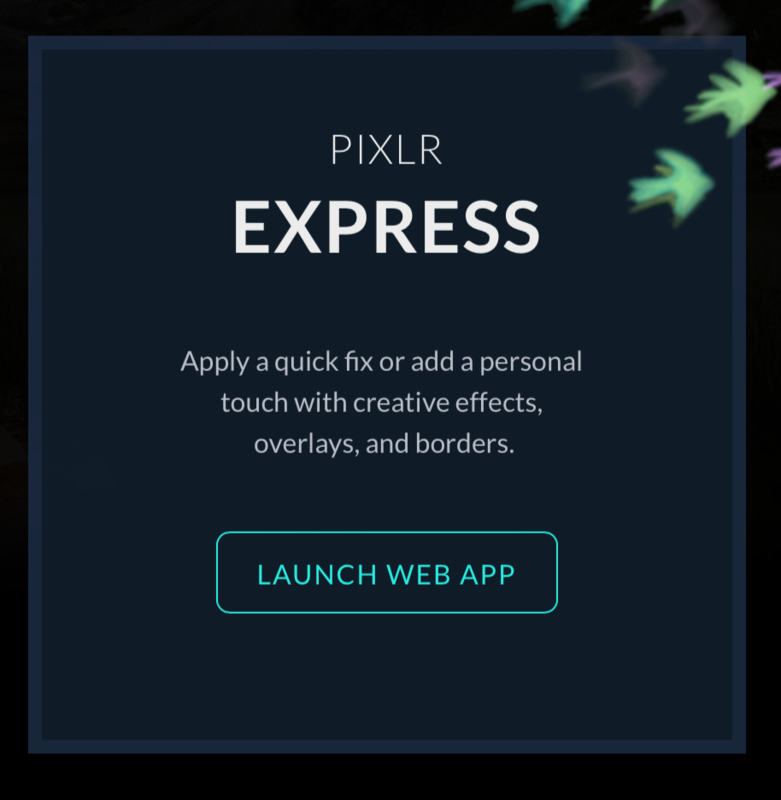 Pixlr has added the ability to actually add text to your photos RIGHT INSIDE their Express app. While it may not be as ‘user friendly' as the other apps, nor as familiar as using Power Point or Keynote, it is still quite easy and could be a time saver! Just click on the ‘Type' button and you can add your own quote to your photo! 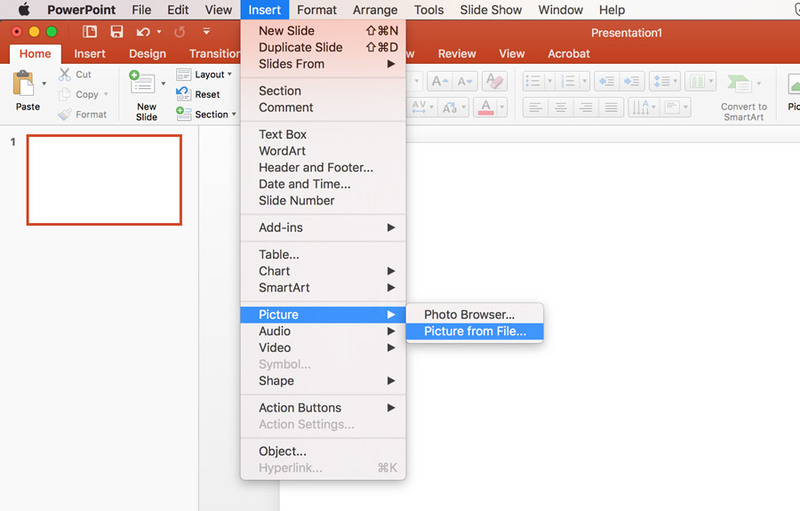 The illustration below will show you how to find that quickly inside PowerPoint. There are many ways to insert a text box. You can click on the ‘Home' tab, or the ‘Insert' tab – what you are looking to do is insert or add a text box. 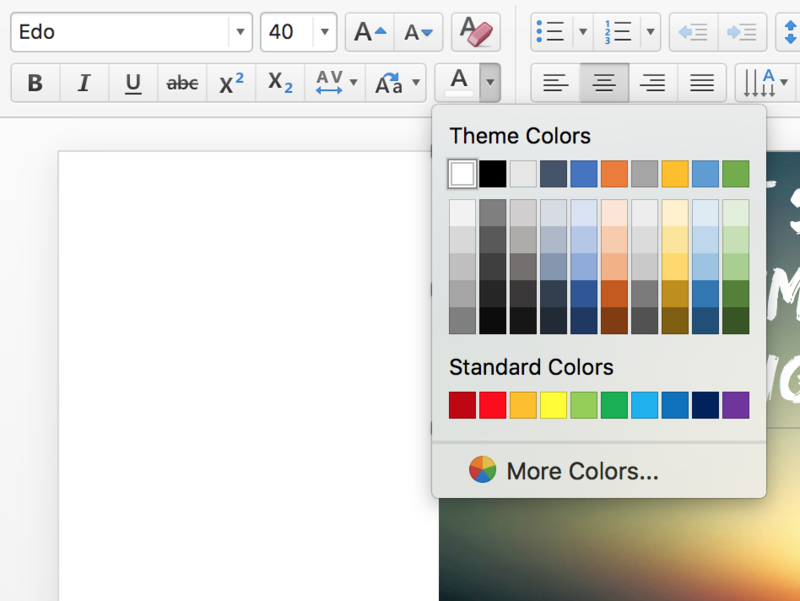 You’ll also find Font choice, size, and colors under the home tab. Play around with these to find exactly what you want to use with your quote. Once you've added your quote over your photo, and have arranged everything the way you like it, the key here is HOW TO SAVE IS AS AN IMSGE! Either drag and select all of the objects or hold down COMMAND (mac)/SHIFT (windows) and right click to group all of the objects together. 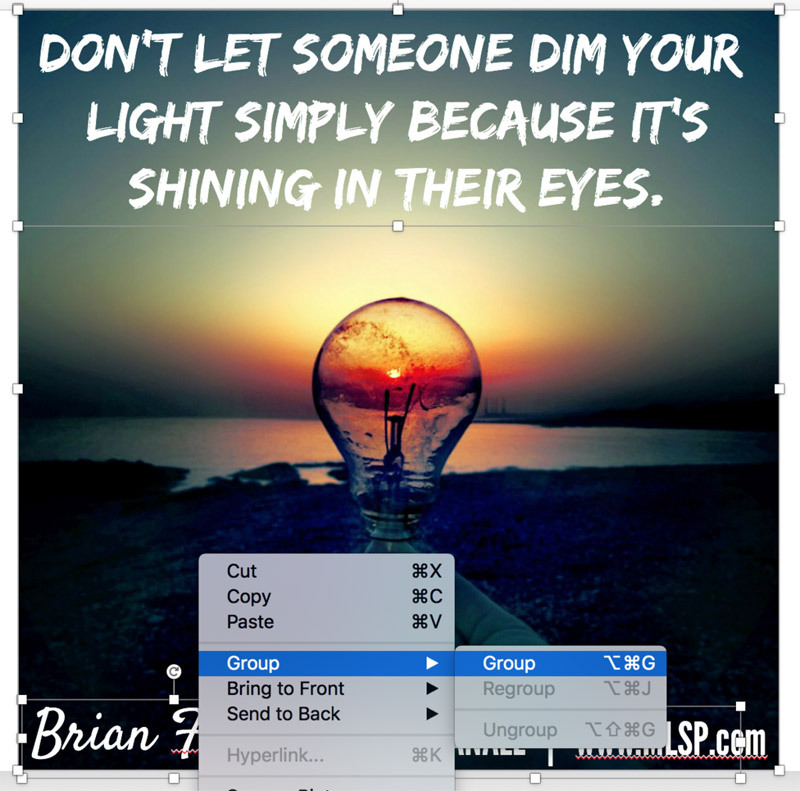 Once they are grouped, simple right click on the group again and choose Save As Picture, and voila… you’ve now got a saved quotes image, made with PowerPoint and Pixlr that you can share on social media. Need Extra Help With This One? PowerPoint is actually very powerful, and you can do some amazing things to make your images stand out from the crowd even more. Bonus! Creating Quote Images with WordSwag! WordSwag is a handy app that lets you quickly and easily create quote images right from your phone. This one isn’t free, you’ll have to shell out a paltry $4.99 (once), but it’s well worth it because it’s so easy to use, and you’ll have a slew of images and quotes to use… or you can use your own. You can grab WordSwag on the Apple App Store or if you are on Android, the Google Play Store (it's mobile only). This exclusive feature is one of the reasons this app is so cool and popular. 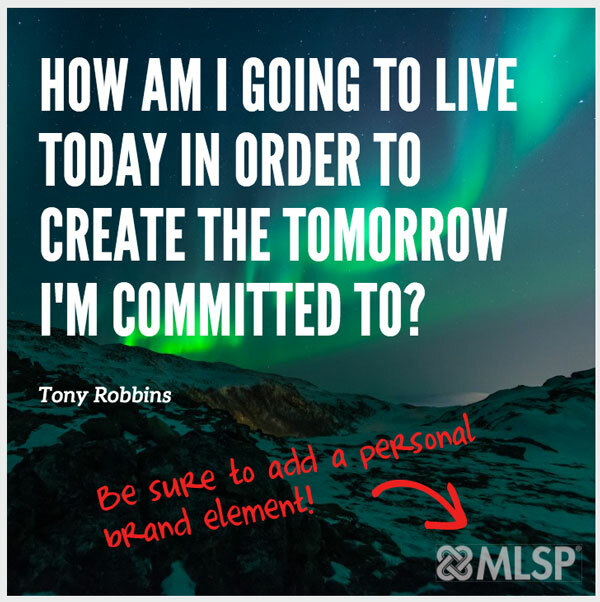 This allows you to create CUSTOM quote pictures so that yours are all one-of-a-kind to YOU, so you can build your personal brand. You can customize your text fonts, the placement of your text on your images, and display them however you choose. You can most certainly use your own images with Word Swag, but we’re all crunched for time, and so it’s great to have a bunch (actually hundreds of thousands) of royalty and copyright free images at your fingertips to choose from very quickly. You’ll never run out, and this is due to Word Swags collaboration with Pixabay! Coming up with your own quotes isn’t always easy. But don’t worry, because Word Swag has a slew for you to choose from so you’re never at a loss for words to attract prospects to you. The best part is that it’s super easy to use, and to prove it, April Marie Tucker will show you a quick demo of Word Swag in the following video. You can’t go wrong with this app! 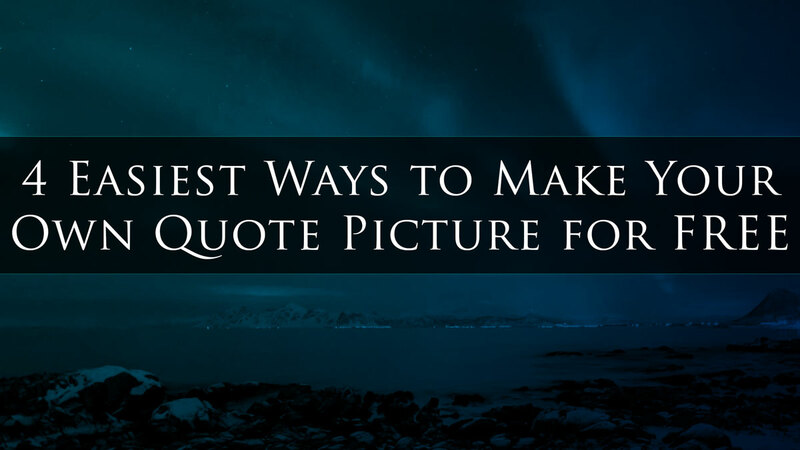 As you can see, it's incredibly easy to make your own quote picture these days with some really simple apps and making quote images part of your social media marketing strategy is a must. They build engagement, build that know, like and trust factor and, when done right, help build your brand. Now get out there and make your own quote picture! ACKNOWLEDGEMENT: We want to acknowledge and honor our dear friends and top affiliates Steven & Lanacia Reachel for providing the video trainings above so that we could serve YOU, our beloved audience. Steven & Lanacia are marketing rockstars and, and are always pouring into and serving the MLSP family. Thank you for all that you do Steven & Lanacia to help the MLSP Community get better and better every single day! Great training once again Steven. When using power point do you have to have a special size for different social media. Like can you upload this directly to Facebook and Instagram or will you need to resize the image? Other than that, we are glad this helped! Great job. You are a pro at demonstrating. I am experienced using PowerPoint and could follow you seamlessly. Thanks for introducing me to Pixlr and the other programs you had in the post. I am excited. 🙂 you are welcome, and we are excited too! Good Stuff! Enjoyed it very much! Excellent, we are glad you enjoyed it! This… is… awesome… such a fantastic, non-tech way to create images that POP and brand YOU! Thanks guys! Worth every minute of my time to read this article. Thank you for sharing.